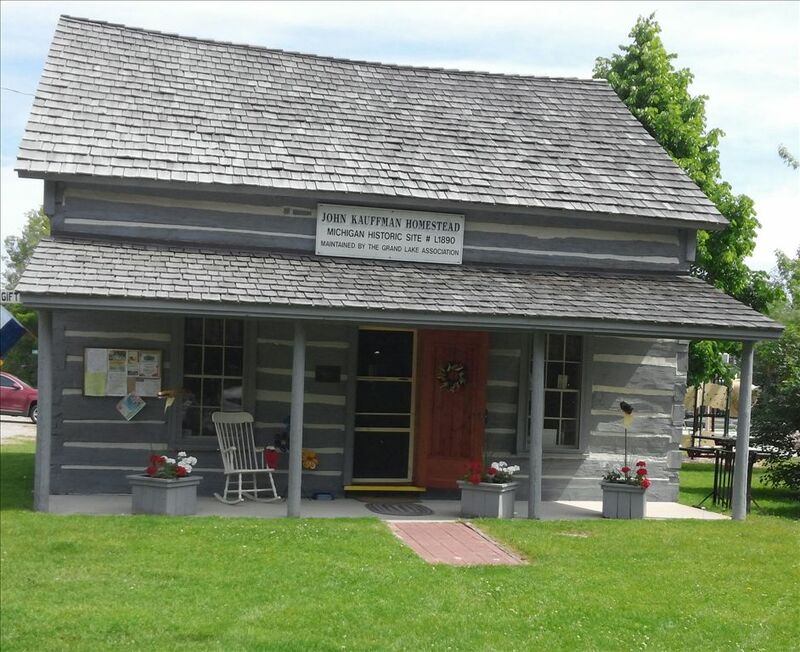 A historic log cabin gift shop with hand-crafted items by local artists in beautiful Presque Isle! The Homestead Gift shop is located on Grand Lake Rd in Presque Isle. The area is rich in historical sites, including 2 lighthouses, the Presque Isle Lodge, Camp Chickagami, Presque Isle Harbor, a site recognizing the Garrity family that tended the "Old Presque Isle" lighthouse for many years, including a statue of one of the Garrity women, and numerous historical markers found within a relatively small geographical area. This area is also part of the Anishinaabe Indian Trail. The Homestead itself was erected in 1862 on the grounds where the Presque Isle Chapel is located. The Homestead was built by John Kauffman and originally located on Grand Lake. Due to harsh northern winters, Mr. Kauffman dismantled the Homestead one log at a time and reconstructed it in its current location. The Grand Lake Association acquired the Homestead and over the years it was the spot for meetings, picnics, movie showing, crafting, and other events. The Homestead houses wonderful items crafted by artists, most from this northern Michigan area. The shop is open from Memorial Day weekend thru Labor Day weekend and on Holidays and during special Grand Lake Association events. Hours of operation include Fridays and Saturday from 11 am til 4 pm, Sundays and holidays 12-3. Other days and hours coincide with events being held in the Presque Isle area.